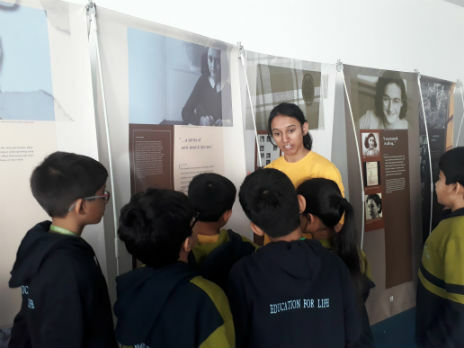 Noida: Shiv Nadar School Noida (a not-for-profit initiative of the Shiv Nadar Foundation in K12 education), continuing with its mission of ‘Education for Life’, recently organised an international travelling exhibition titled, Anne Frank – A History for Today, at the school premises. The exhibition was organised in association with Anne Frank House, Amsterdam, the Netherlands Embassy, and PeaceWorks – an initiative of The Seagull Foundation for the Art. The purpose of the exhibition was to develop among the students a common culture of empathy against the backdrop of the brutalities that were meted out during World War II. 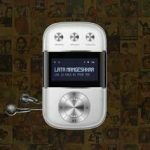 Looking back at the life accounts of Anne Frank serves a reminder for all of humanity to build an appreciation of diversity, and an exhortation for leading a more tolerant and peaceful life. Anne Frank’s Diary that was turned into a book, ‘The Diary of a Young Girl’, documents her life in hiding from 1942 to 1944, during the German occupation of the Netherlands in World War II. The book has been adapted into several popular plays and films. The exhibition was inaugurated by historian Sohail Hashmi, Meena Malhotra, Director, The Seagull Foundation for the Arts, and Shashi Banerjee, Principal, Shiv Nadar School Noida. As part of the inauguration, candles depicting peace were lit by students, and they sang the famous John Lennon song, ‘Imagine’, in the background. Students also read out extracts from Anne Frank’s Diary. Mr. Hashmi addressed students on the importance of appreciating and respecting diversity, and also talked about real life icons who are working for cultivating greater peace and tolerance in the world.